Please welcome Garry Stocks to our teaching team! Garry grew up in Bathurst NSW and began tap dancing at the age of 7. After discovering ballet at 14 decided to pursue this style further and moved to Melbourne to study at the Australian Ballet School for 4 years upon graduating he was offered a contract with The Australian Ballet Company. He danced with the Australian Ballet for 10 years. Having performed all over Australia and in iconic theatres on the world stage in places such as London, Paris, Tokyo, Shanghai and New Yorks’s Lincoln Center it was time to put his tap shoes back on. 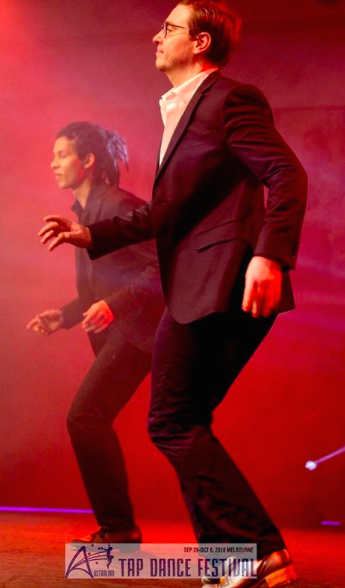 Garry has reconnected with his love for tap dance and has since performed at the Australian Tap Dance Festival and on corporate gigs with TDC productions and Melbourne Tap Dance.